This is Your One Big Shot to Get It Just Right! My name is Robbie T and I’m a professional entertainer. My career revolves around creating truly unique and unforgettable moments in time. Moments which people will remember for years to come. In fact, this is all I do for a living, and I love it. Over the last couple of years, I discovered a niche, where I can use my same entertainment skills, to help men just like you propose to their special love of a lifetime, in a very unique and romantic fashion. My novel and highly captivating approach to marriage proposals has only been used twice before, and both times with complete success! In fact, I created such a strong impression, that both my previous customers then went on to book me for their weddings as well. That’s how impressed my customers have been with this unique proposal method. And now, I’d like to also help you on your big proposal day! What do Robbie’s HAPPY CLIENTS have to say? 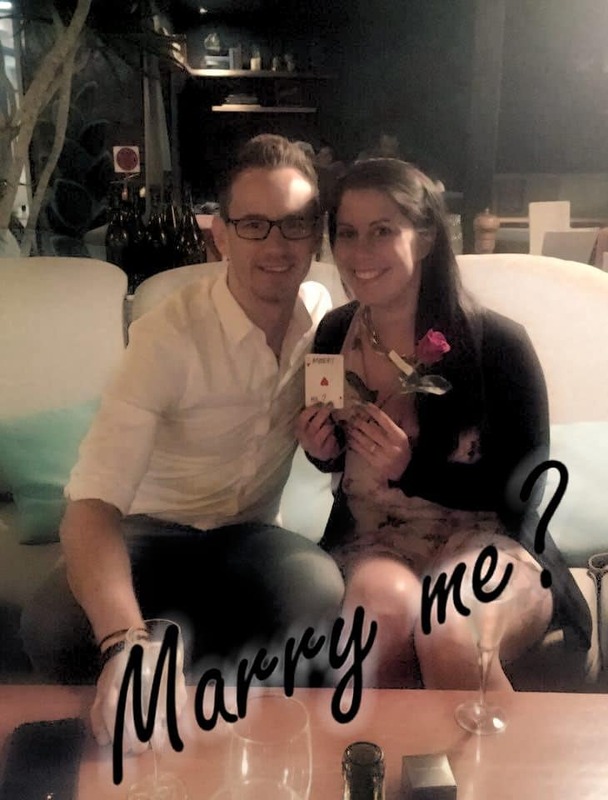 “…Myself and the future Mrs Billett cannot thank you enough for your help in making my proposal as special as I could make it! Thank you again Robbie! RT: Note, it was actually the night he popped the question – a romantic dinner for two (not an engagement party per se). What I will do, is help create a very special and fun moment that will not only completely surprise your bride-to-be, but it will be something so unique and original, that your special lady will feel like the luckiest girl in the entire world. Your proposal will be one that will live on forever in her mind, attached to the happiest of memories, that she’ll tell people about for many years to come! But don’t get me wrong, during this unique marriage proposal process, although I’m personally involved, the central focus will always be solely on you and your partner. The two of you will be the main focus. I will only be involved in setting up the one-of-a-kind situation for you both. Nothing more. And the best part of this is, the entire setup will be entirely believable, undetectable, and likely to come as a complete and shocking surprise to your lovely lady. And finally, please type what you see below, to prove you’re not a ‘bot’!